Explanation: The Moon passed close to the center of Earth's shadow on August 28th. 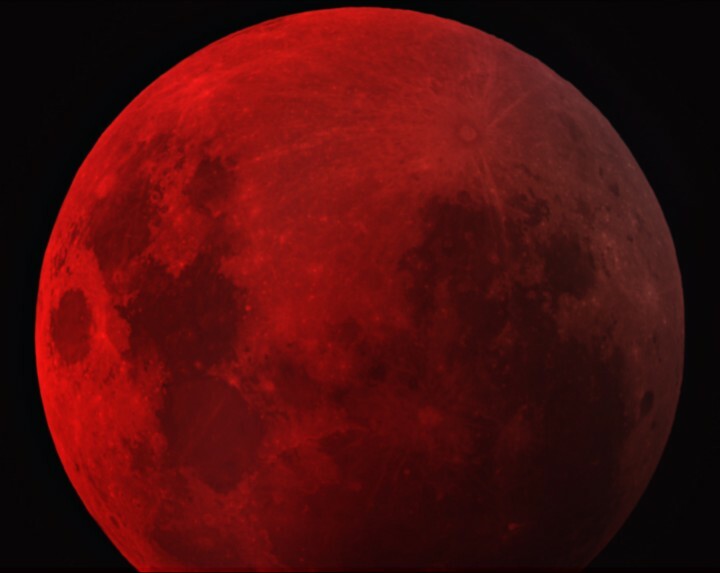 Seen best by skywatchers in western North America, and the Pacific region, the resulting total lunar eclipse was a dark one, lasting about 90 minutes. In this telescopic image taken near mid totality from Yass, NSW Australia, the 85 kilometer wide ray crater Tycho lies near the top right of the shadowed lunar surface. Of course, even during a total lunar eclipse,the Moon is not completely dark. Instead the Moon remains visible during totality, reflecting reddened light filtering into the Earth's shadow. The light comes from all the sunsets and sunrises, as seen from the lunar perspective, around the edges of a silhouetted Earth.